You won’t believe it’s Ibiza! You will always remember your first time in ibiza, walking down the Sunset Strip and being greeted by the most beautiful sunset and picturesque sea view. Something else you might remember vividly is the buzz you felt around you and the amazing diversity of people ­ from age, race, culture and style. Everyone is accepted here, instantly you fall in love with the island and all of it’s weird and wonderful qualities. Ibiza is the party paradise of the world; everyone is welcome and most things go. There isn’t much that surprises us here as we always expect the unexpected! It’s an island full of colourful characters, it’s bursting with energy, yet still offers hidden sanctuaries of calm amidst the madness, and, actually, that is why we love it! 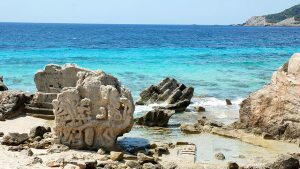 Ibiza never ceases to amaze and we are always discovering new things. However you might not believe these pictures were taken here…………. Flamingos love Ibiza as much as we all do. 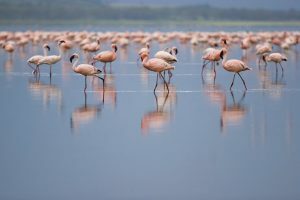 Every September/October they stop off to visit the island on their way to Africa. It’s a long journey and these fabulous pink birds need food and rest and Ibiza offers both. Look out for them in Salinas. 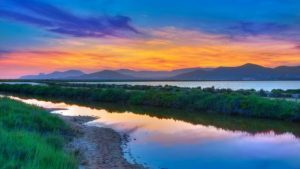 Take a break from the busy towns and clubs to visit Ibiza’s own salt fields where Ibiza salt has been harvested for the last 2,000 years using the same traditional methods. During the hot summer, the water evaporates on the lakes and leaves behind a crust of 100% pure salt. No modern processes are used in its production – just slow drying under the sun and then the salt is ground using ancient stone mills. You can also take advantage of the beautiful beach nearby and remember to get your smart phones ready for breath­taking pictures at sunset. Can’t beat it! Every year in late August ­ September, Ibiza hosts the the festival of Sant Bartomeu. 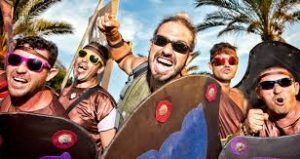 The two week cultural celebration is full of exciting events including music, arts, fireworks and sporting events, that all end with a Romans Versus Carthaginians tomato fight. The neighbouring towns of San Antoni and Saint Augusti dress up and chuck tomatoes at each­other, random we know but great fun to watch!! Searching for inner peace? Make your way to the western coast of the island and visit the Lost City of Atlantis. A magical place, it was renamed Atlantis by hippies more than 50 years ago who adopted this mystical treasure, opposite Es Vedra, as their own. Apart from its gorgeous, secluded cove, it boasts huge rock formations as a result of stone being quarried for use on the building of Ibiza’s World Heritage Site, Dalt Vila. This has even impacted under the sea where magical hidden pools have developed naturally within the rocks. So to find your inner peace, take the road to Es Cubells and go towards Cala d’Hort. Turn left onto a dirt road. There are two obvious paths – and one leads to Atlantis. It’s quite a steep walk down so you need to be fit – but your effort will be rewarded! 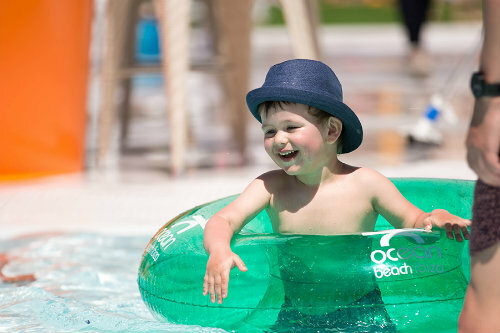 Once a year, O Beach host a mini party, so you can now enjoy your favorite beach club with your favourite little people. There are lots of fun activities including arts & crafts, treasure hunts, cooking workshops and more. This event is to raise money for APNEEF, the Association of Children with Special needs of Ibiza and Formentera and there’s a discretionary 3€ charity donation. 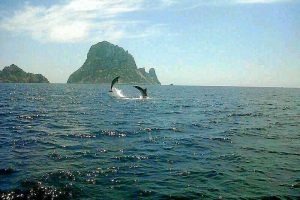 Two beautiful elements in one picture, dolphins dancing in their natural habitat in front of the majestic and mystical rock of Es Vedra. Another great spot for marine life is the crystal clear seas of the marine reserve between Ibiza and Formentera. Not many people know this,but the area is home to an amazing variety of wildlife, including a multiple number of dolphin families. If you want the opportunity to see these beautiful creatures in their natural habitat, then Aquabus organise a twice­ weekly excursion to these translucent waters! Ibiza is an island we associate with music, sun, cocktails, food and dancing, so it’s no surprise that not many of us think of storms when we are planning our trip. 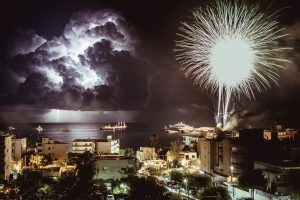 However every now and then Ibiza’s weather has its own ideas and the island has played host to some spectacular storms over the years. Back in 2015 in a more serious case 2 small tornadoes struck ibiza one, running through San Antonio for a very tense 15 minutes. Luckily no injuries were reported but there was damage with boats crashing against the rocks. The great thing about the island is when storms and floods do occur the community embrace it and there is a weird sense of tranquility while people watch the storm pass. Holiday makers also enjoy the change in weather. Last year we saw holidaymakers putting their lilos to use and turning the west end into their very own slip and slide!